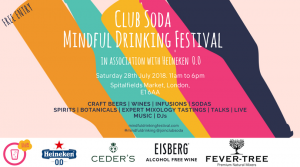 This festival boasts an international line-up for botanical alcohol-free spirits that are looking to create an alternative cocktail ingredient or the same experience as a gin and tonic. Exotic or unusual ingredients used in these drinks include Cape floral fynbos, rooibos. Helichrysum italicum, lemon verbena, Inca berry, angelica root and Sea Kelp! CEDER’S is a distilled non-alcoholic alt-gin made with classic gin and exotic South African botanicals. 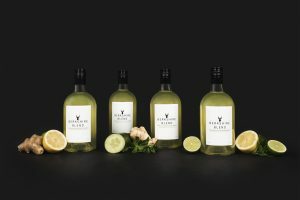 After what felt like a very long pregnancy in 2016, Swedish gin-lover Maria realised that there are very few options available if you want to enjoy a sophisticated, non-alcoholic, adult drink experience. Early 2017, husband and wife, Craig (South African) and Maria (Swedish) discovered a magical valley nestled in the Cederberg Mountains in the Western Cape, South Africa. The Valley, which they now co-own is home too many intriguing botanicals, including Rooibos and Buchu, used for thousands of years by indigenous people of South Africa. 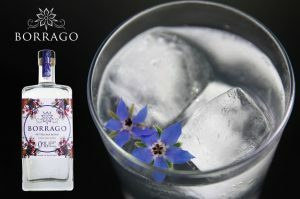 It inspired them to distil classic gin and exotic Cape botanicals, and then blend with ancient and pristine Swedish water. 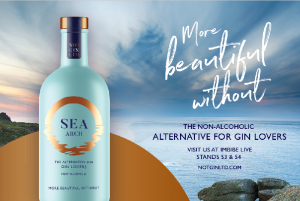 This juxtaposition results in a distilled non-alcoholic alt-gin that allows you to escape and find harmony. Crisp: juniper and citrus combined with cucumber and chamomile. Wild: juniper and ginger, combined with clove and rooibos. 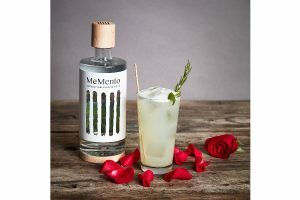 MeMento emerges from a selection of botanicals and herbs with beneficial properties, blended according to ancient traditions. 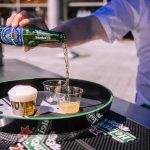 It’s a sophisticated product for a multisensory impact: elegant on its own and a versatile base for drinks. Made from organic ingredients, without alcohol, vegan, sugar and gluten free. Andrew and Tracey decided their love affair with gin and tonic had run its course so they decided to take a break from alcohol to lead a more active and healthy lifestyle. While embarking on this journey they discovered they didn’t have to deprive ourselves and sit in the corner drinking water or sugary fizzy drinks all night. Or worst still, stay at home because they felt deprived. They embraced the alcohol-free beers but found there really wasn’t an alcohol-free gin that really hit the notes for them. 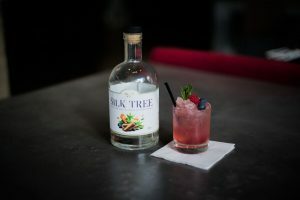 This is when they decided to do a bit of blending and distilling at home, they invested in an air distiller and replaced evenings spent drinking wine in the kitchen to spending their time blending and distilling botanicals. One evening they came up with a formula that tasted so good they said we should bottle it and sell it. This is the seed from which Silk Tree was born. The brand is designed to show that Sea Arch can be enjoyed by various groups. For example those who have to or want to stay in control, eg sailing, driving a car or working. People who have health reasons for not drinking, eg pregnancy. People who socialise a lot but don’t want to drink alcohol all the time. Or of course those who have made a lifestyle choice not to drink at all. From there, she started thinking about this problem, and about how there is so much choice in the alcoholic spirits world, but hardly anything in non-alcoholic. A few months later she took a trip back to Colombia.  Elenor spent a lot of time with family and travelled around the country, visiting Cali, Medellin, Bogota the coffee region and the coastal towns of Cartagena and Santa Marta. Whilst she was there she experienced the warm, happy and sunny nature of the Colombia people, who are relentlessly optimistic, open-minded and are always finding an excuse to celebrate/party!! 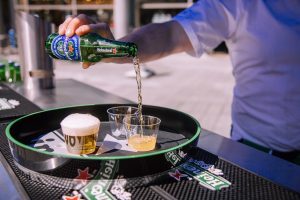 It was then that it kind of dawned on her what the non-alcoholic sector was missing… It needed a massive injection of fun and excitement, and a brand that rejects that stereotype that “not drinking” is somehow not fun. 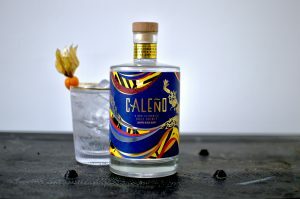 Caleño is inspired by Elenor’s Colombian roots – using Inca berry, coriander, juniper berry, cardamom green, citrus and spice, Sicilian lemon, peel & slice. 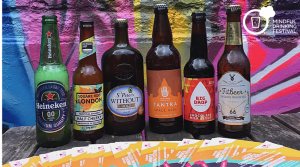 Rex’s principles are simple but his ambitions are big, to change the concept of what it means to be a non-alcoholic drinker. No more boring lime and sodas. No more tedious sparkling waters. No more questions why you aren’t drinking. Berkshire Blend is that sophisticated premium alternative. Tom used to be a chef and write cookery books and run a food dot com. Having moved out of marketing, he wanted to connect again with food and drink. He used to party hard and even wrote a book on the art of the vodka jelly. Now, a bit older and live in the country with two small children, he still loves entertaining and partying, but alcohol plays a smaller part in this. He was not impressed with the options available and thought that I could do better and Borrago was born. Tom has carefully selected six delicious botanicals (herbs and spices) which are individually steam distilled and processed to keep their unique properties. These are then blended and bottled to create a drink like no other. It has taken a long time to get this right, so we are keeping the secrets of how we do this and some of the ingredients close to our chest! 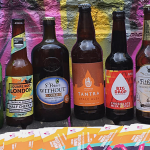 Press Release: The Festival For The Sober Curious!